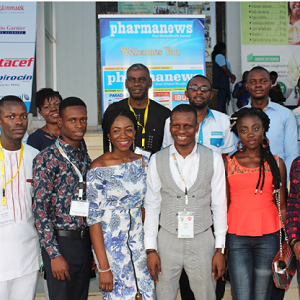 Pharmanews Ltd in collaboration with Mareek Image Concepts, cordially invites all our esteemed readers, revered advertisers, distinguished pharmacists and pharmaceutical companies, to an hour interaction with Sesan Kareem and other Pharmanews columnists, at the forthcoming 91st Annual PSN Conference, tagged, “Oluyole 2018”, Ibadan, Oyo State. Feedbacks garnered from our readers have shown that stories on Pharmanewsonline.com and Pharmanews Journal, including those from our columnists, have impacted many lives. This one hour event is an opportunity to interact with our columnists and meet them one on one, to ask questions on any area of interest to them. Pharmanews team will be fully available to share all our digital applications with participants at the venue, at no cost. Date: Thursday, November 1, 2018. Venue: International Conference Centre, Oluyole, Ibadan. Target Audience: Pharmanews Readers, Advertisers, Columnists, Young Pharmacists.